The Terminator franchise refuses to die, and there is a specific reason for that; the base story is brilliant. The prospect of time travel, killer robots and fate lends itself too readily to cinema, and in turn will always be ripe for investment. However, the problem with the franchise thus far has been that nobody other than James Cameron seems to know what makes the story work. With director Alan Taylor calling the shots this time around, it seems that this ignorance has continued. Taylor’s main issue appears to have been “when do I stop?” Every action scene (and even some quiet ones) is laden with so much CGI it feels as though Terminator Genisys is a computer game and not a film. The cold distance created by any immediate lack of reality, means that most, if not all, of the action scenes contain no threat at all. The worst culprit for this comes in the much hyped Arnie vs Arnie standoff….more like Arnie vs Xbox. The other problem is that the action feels recycled, lazy and obnoxious. It seems the thrill of John Connor being pursued on his motorbike or Sarah’s fight for survival in a manufacturing plant, are long gone. Although Terminator Genisys feels more like fan fiction than cannon storytelling, it does offer some neat twists on the franchise’s mythology. There is also no denying that the shot-for-shot recreation of scenes from the first film, and subsequent riffs on them, are pure nostalgic joy. Attempts have also been made to add a new angle on events by framing most of the story from Kyle Reese’s perspective, and it works in the sense of justifying a new timeline. However, what made Terminator so much fun, and what remains so, is the relationship the Connor family share with the T-800. In this outing the new model for Sarah and her cybernetic bodyguard is father-daughter. It is a fun twist, but seems to run its course rather quickly. 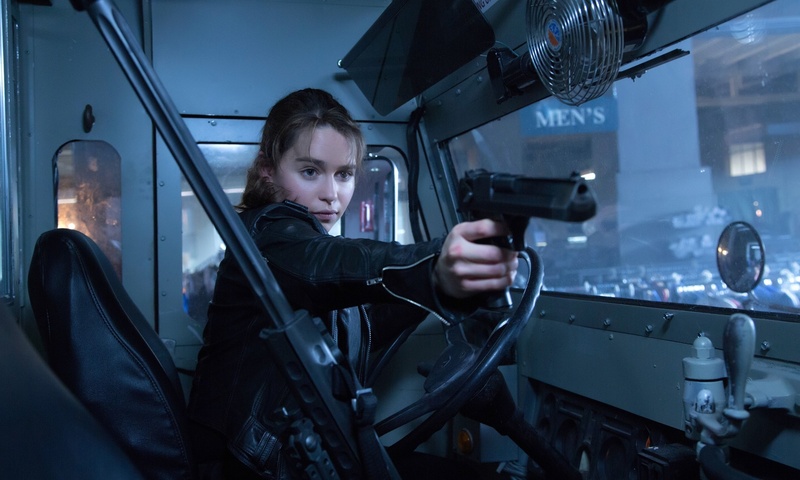 Terminator Genisys may have been given the seal of approval by James Cameron, however one cannot help but feel that is akin to Steven Spielberg green lighting Indiana Jones 4. 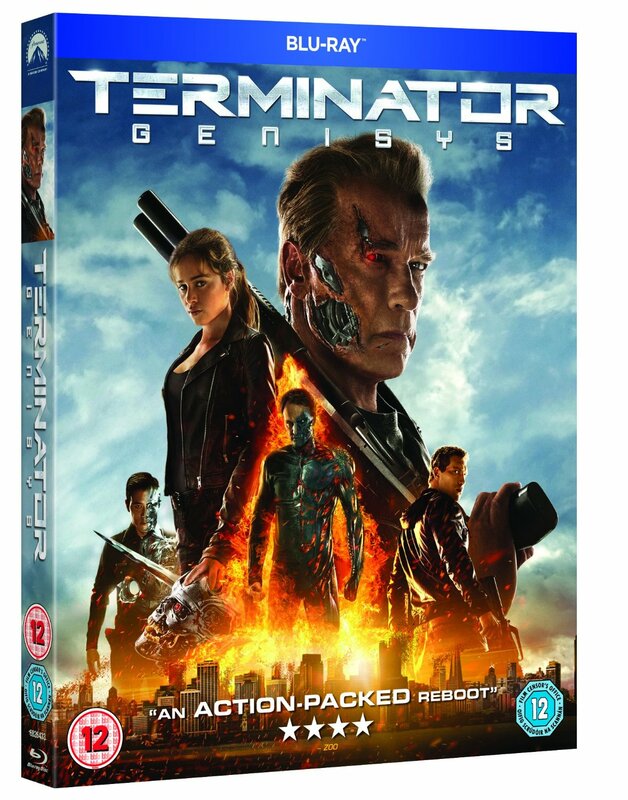 Although Terminator Genisys is a better product than the aforementioned catastrophe by ‘the beard’, it still doesn’t feel like a top quality product. Plot holes abound, and the third act ‘shoot out’ with a seemingly endless supply of hologram projectors is an out-and-out eye-roller. Emilia Clark and Jai Courtney coast as Sarah and Kyle. The former tries to add a bit of emotional weight at times, but neither seem to connect with the roles. Arnie is downgraded to driver / clown / bricklayer’s nightmare, as the weathered cyborg, and the ‘other’ Clarke, Jason, drops a surprisingly dud performance as the hammy John Connor. Then there is J.K Simmons, who plays against type in a role which would otherwise be forgettable. Still, somehow, we stay mildly interested in these characters. There is no doubt Terminator Genisys is flabby and tired looking, but beneath it all, under than flabby skin, still shines the glimmer of a decent story. I said decent, not great. NOTE: Watch this trailer at your own peril. It seems the marketing bods at Paramount decided to spoil ALL the film’s surprises.